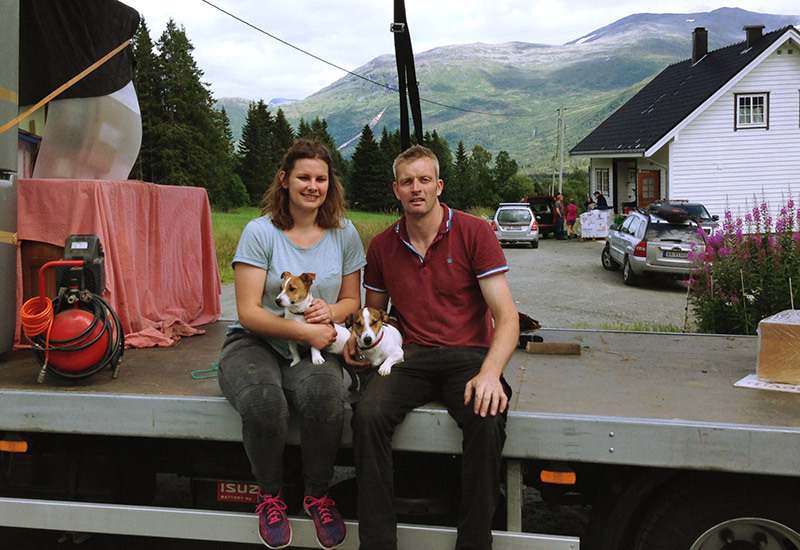 Georgina and Sam Bevin moved from the UK to rural Norway in 2016 to run a farm. Read their remarkable story! 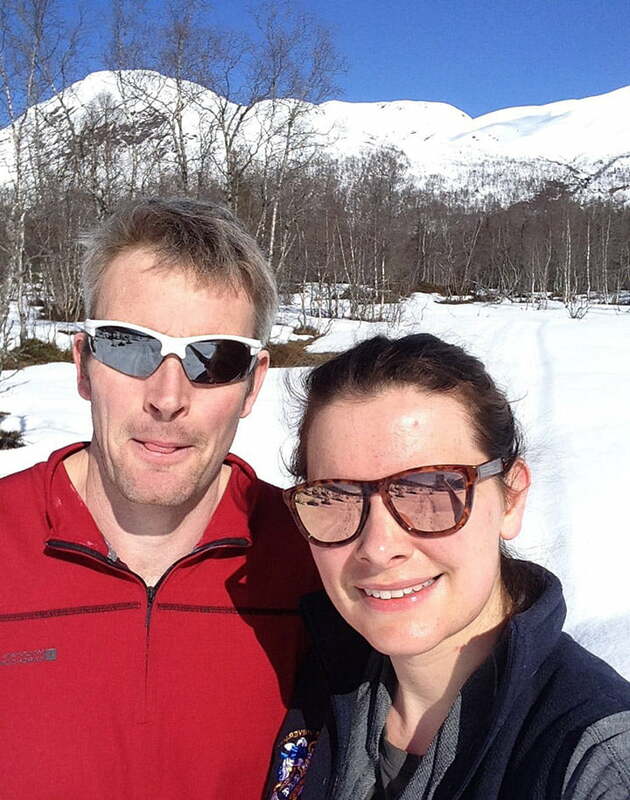 I'm always thrilled to hear from fellow expats living in Norway who do something a little bit different. 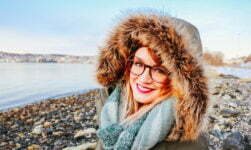 So when Georgina Bevin from the blog Farm Fjell Fjord Life got in touch, I knew I had to share her story. 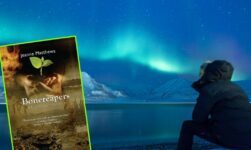 She kindly agreed to this interview, where she tells all about her and her husband's move from the UK to become sheep & dairy farmers just minutes from the Geirangerfjord. First question: How did this all happen? My husband Sam and I met in Hellesylt in Norway in 2008. Sam is a sheep shearer and had been working the autumn season in Norway when the sheep come off the mountains into the abattoir. Norwegian hygiene regulations (Mattlesylt) stipulate that sheep have to be shorn before being processed for meat. Anyway, Sam was shearing and I was wool grading in the abattoir Ole Ringdal, we were working as part of a gang for 3 months. Sam has been doing the season for 13 years and I have done 4 seasons. So in 2015 when Sam was in Norway shearing a local farmer's sheep, he found out that the farm was for sale. Naturally Sam thought it would be too expensive but was curious. The whole farm was actually not as expensive as we thought, he then rang and said do you want to buy a farm in Norway so that’s how it all started. We both come from farming families and grew up on farms helping our parents, and together we had always dreamt of having our own farm. However in the UK it is virtually impossible due to land prices, availability and set up costs. The only way would be to inherit. Both sets of parents were still farming and not at a stage to retire so there wasn’t an opportunity there. 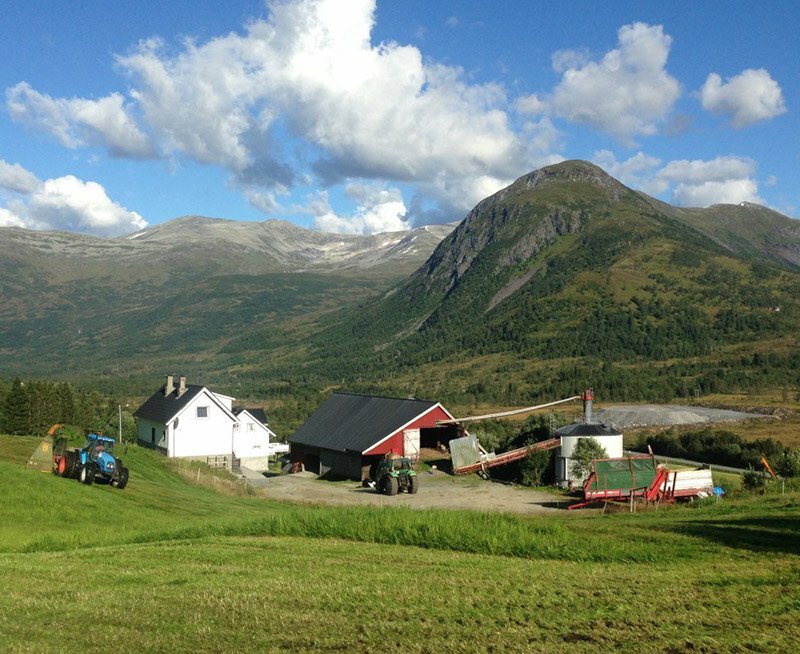 Is it possible to make a living as a farmer in Norway? Norwegian and British farming are opposites. 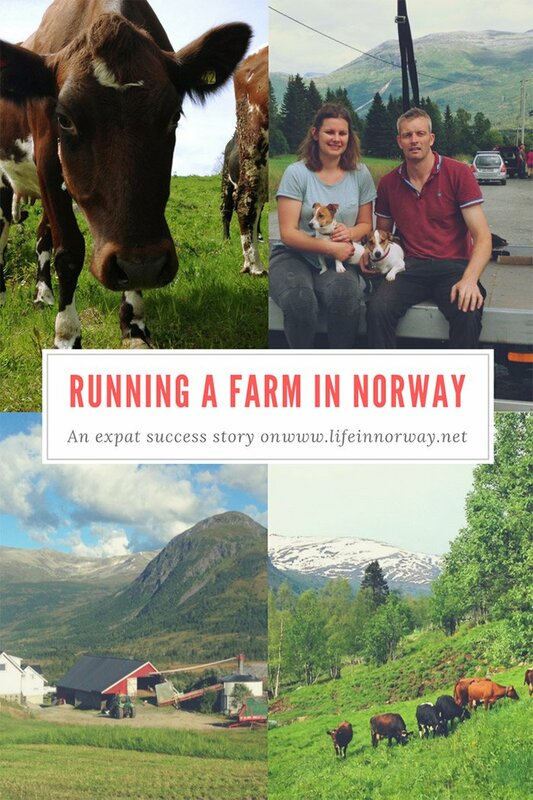 Norwegian farming is on a smaller scale compared to the UK but we have been able to turn a profit within the first year of owning the farm, which is unheard of in the UK. The Norwegian government are very supportive of farming and believe it's inherent in their culture, therefore they subsidise farmers however big or small. How much is determined by how easy it is to farm your land, so farmers in the south receive less due to having more productive land and a warmer climate, while famers in the mid and northern regions will receive more. We were unable to have the subsidy payments for the first year and we still managed to make money. Basically we are getting a very good price for the milk we produce, about 5kr per litre. Tine, the national dairy company, also provide extra payments such as a yearly bonus to say thank you to the farmers and provide extra payment for those farming in difficult regions such as us in Møre og Romsdal even more in Tromsø. So the simple answer is YES! 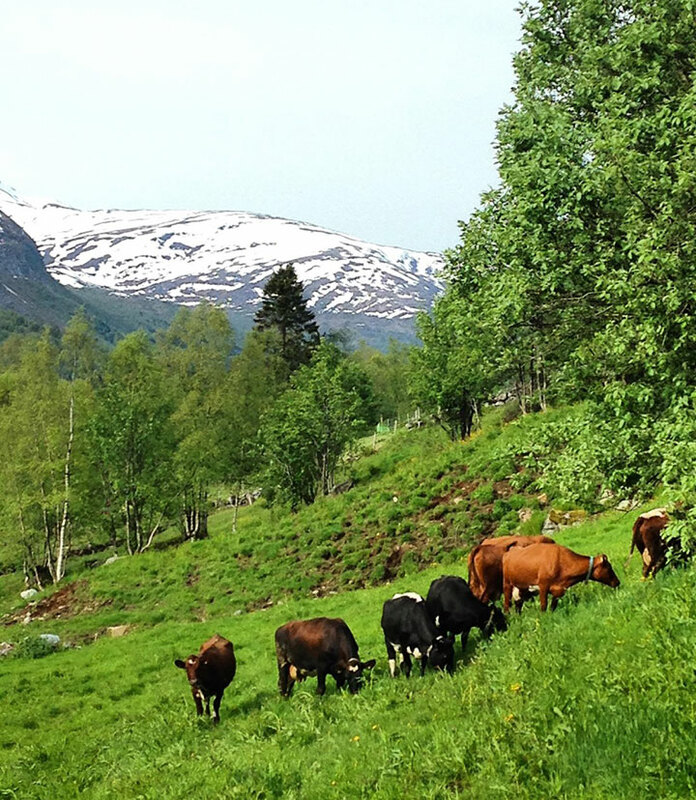 We milk 18 cows plus we produce bulls for beef and beef is a good price in Norway. We also have 20 sheep, lamb is in demand in Norway especially at Christmas and the wool is the best quality, fetching about 40-50 kr per kilo. What are the biggest challenges in running a farm? As a self-employed business the buck always stops with you. You can’t pass it off to anyone else to sort. 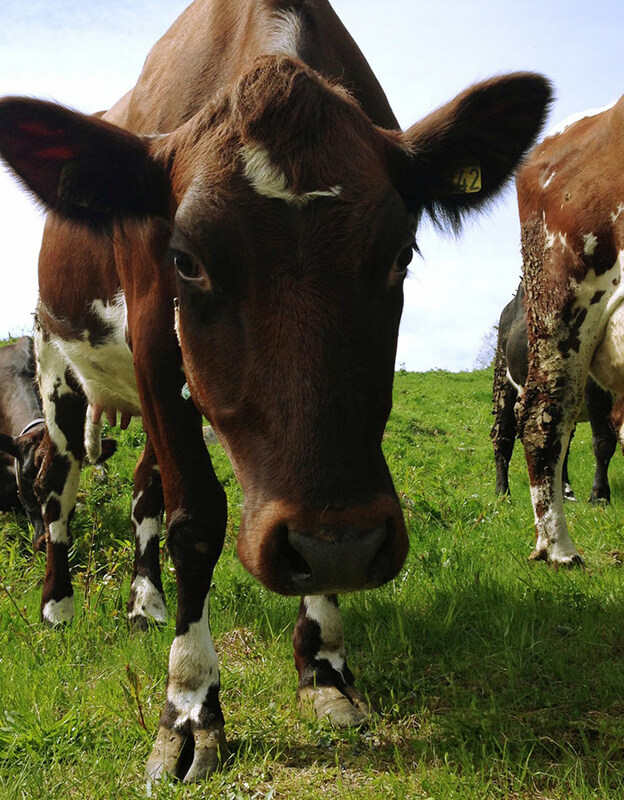 The biggest challenges with Norwegian dairy farming are having enough grass to last the winter, and as farming is a 24/7 activity, there is always something to be done from day to day tasks, solving problems, paperwork, and juggling money coming in and out. Finding enough productive land is also another big challenge. The amount of land determines how many animals you can keep and therefore how much money you can make. Our farm is about 350 acres but only about 40-50 acres of it is productive. 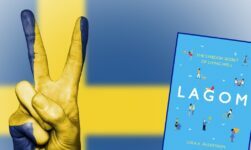 What were the biggest challenges moving to Norway? The biggest challenge has been the communication and paperwork. Most people can speak to you in English but everything is written in Norwegian so all the paperwork for the farm has to be translated to make sure we understand it. 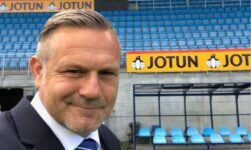 We love where we live but, for example, to get tax documentation sorted and register our move we had to travel for two hours to Ålesund a lot of times to get everything right. The farming side isn’t challenging for us as that’s what we love doing, and our neighbouring famers have been very helpful and are quick to guide us in the right direction and of the Norwegian way of doing things. What do you miss most from the UK? We miss our social life and friends and family. Where we live there are no pubs or restaurants we can go out to. We miss takeaways especially fish and chips and Indian, although luckily in Hellesylt there is a very good pizzeria. What do you like best about Norway? Where we are in the fjords and mountains, the pace of life is just so much slower and it’s taken a bit of getting used to. Don’t get me wrong, people work hard and get jobs done, but everyone appears calm and not in a rush. We love the nature and landscape we can’t believe we live just ten minutes from the world-famous Geirangerfjord. We love how there is little traffic no traffic lights or queues for anything. Can you tell us about your actual relocation to Norway? We knew the drive would be tough, but we didn’t consider that moving house and country would be a problem in the height of the European Summer holidays. After successfully catching the overnight ferry from Harwich to the Hook of Holland, Mum and I and the dogs in the pickup and Sam in the lorry set off driving through the worst traffic we had experienced in a long while, we were sat at 10 mph for 2-3hrs in Germany. This wasn’t an issue for Sam, but it was for us as we were trying to catch the next ferry from Hirtshals in Denmark to Norway. We left the Hook of Holland with the sat nav stating we would arrive in 8hrs to the next ferry, this allowed us 9 and half altogether for stops and or any issues, we were sure to make the ferry in time. However 5hrs into the journey we had used up the extra hour and a half and had to make the difficult decision not to continue driving up to Hirtshals, instead we took the same route as Sam going over the bridge at Malmo in Sweden and driving up the coast to Gothenburg and then Oslo. It was a frustrating time because we lost about £400 by missing the the ferry and gained an extra 16hrs driving, but it was the correct decision in the end because all of the other ferries were fully booked and if we had continued to drive to Hirtshals and missed the ferry, we would have then had to drive 3hrs back down to the bridge crossing to Sweden. 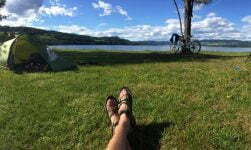 We waited for Sam to catch us up and on Friday night we had 3hrs disturbed sleep in a truck stop off the motorway, and I had driven 9hrs with one 10min stop for the dogs. Sam was finding the drive harder than expected, especially with a heavy lorry restricted to 53mph and no company to keep him awake. However at 3:30am on Saturday we trundled on up through Sweden, Mum and I and the dogs reached Oslo by 1pm and Sam about 2hrs behind us. The next part of the drive was the most enjoyable of the whole trip, an 8hr drive through Norway. In my opinion this is one of the single most beautiful drives in the world. The scenery was stunning, even more so in the sunshine helping us to stay awake. I made it to our new home, Kjellstadlia at 20:30 on Saturday evening exactly 52hrs after we left from Peckleton, Leicestershire. Sam arrived at 23:00 absolutely shattered, 55hrs after he set off. I don’t how he managed to do it in the end, I’m extremely proud of him. The journey was mentally draining just from continuously fighting the tiredness. It is a journey we won’t be forgetting for a while and hopefully we won’t be doing again. How would you sum up your lessons learned from the move? 1. Don’t drive through the Netherlands or Northern Germany (especially Hamburg) during the summer holidays. 2. The landscape in the Netherlands and Northern Germany is pretty dull. 3. Don’t underestimate how mentally tough driving for long periods of time can be. 4. Most importantly, driving through Norway especially in the summer sunshine should be on everyone’s bucket list. If someone is thinking about moving to Norway, what advice do you have for them? Do your research on the cost of living and tax. Have a plan, with a job or a business plan lined up, and visit Norway before you move! Bring family or friends to get a second opinion. Read up on the culture and society. Visit expat websites, try speak to someone who has moved out here. Really think about why you are moving, don’t just think we will see what happens, you need to have a goal and ambition. Also, your experience will be completely different depending on where you choose to live in the country. Thank you so much to Georgina for taking the time to speak so honestly about their move to Norway and living in the fjord region. You can read more on their blog Farm Fjell Fjord Life or follow their journey through their fantastic photographs on Instagram. What an interesting read. Since I will never be able to move to Norway (from the USA) I love reading other’s experiences. Great read. Hope they succeed in all their endeavors. Great Blog!! Will be following it!! We find this very informative and good. We are planning to move to Norway to farm and will take as much advise as we can get. Gosh I’d love to come to work for you. Give me a call if you’d like to hire a hand.